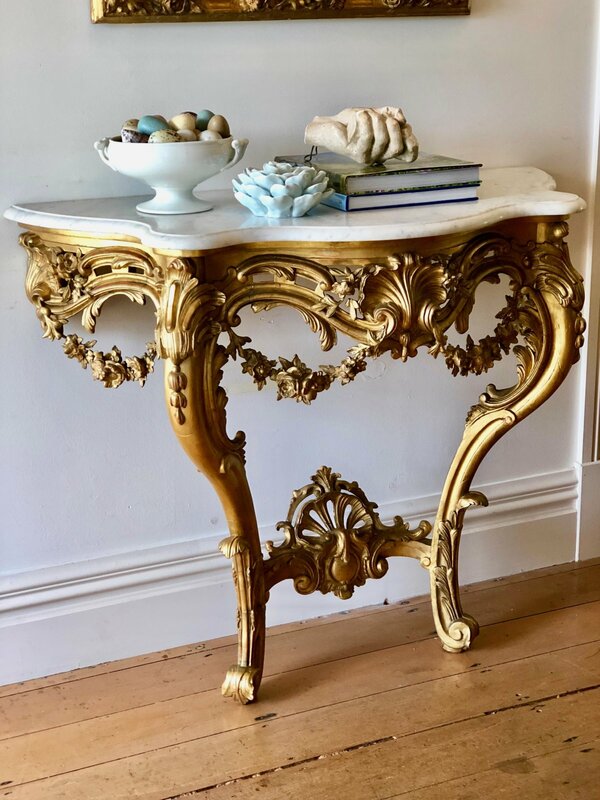 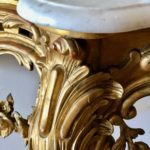 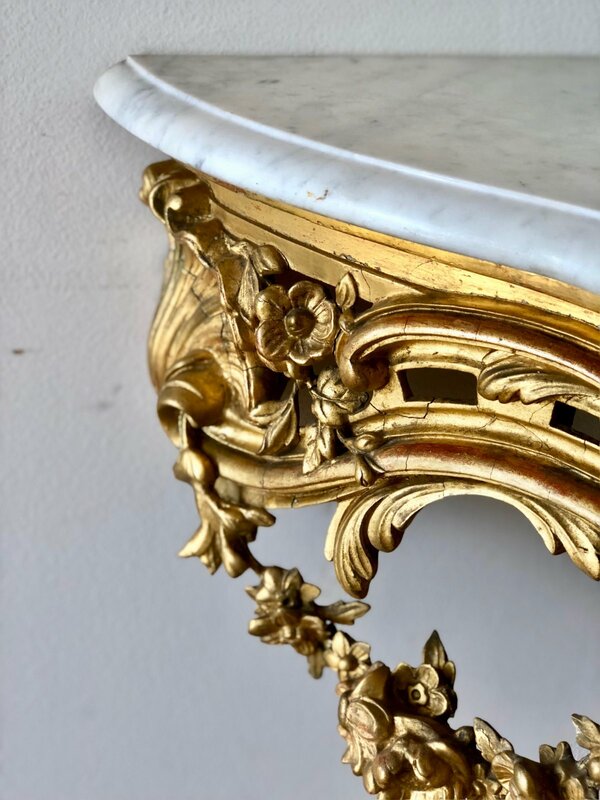 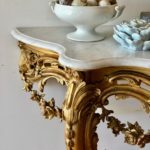 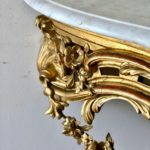 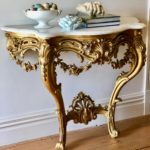 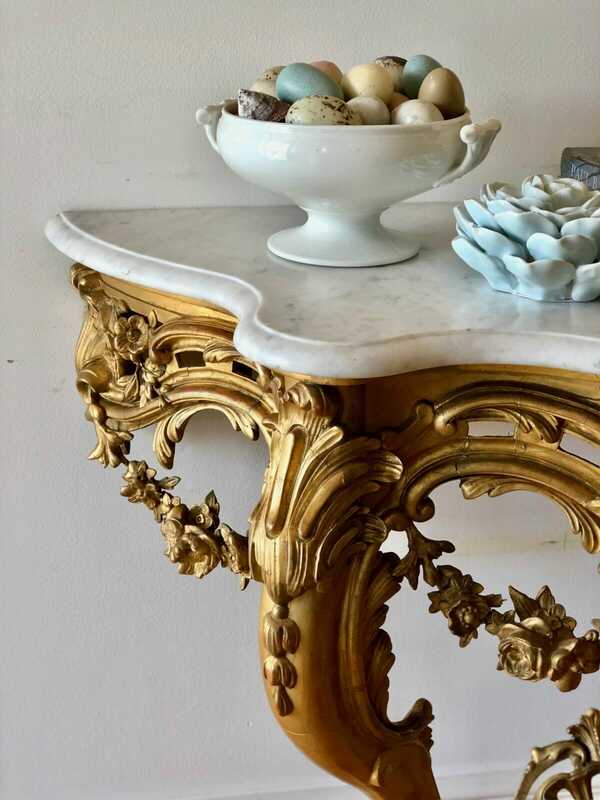 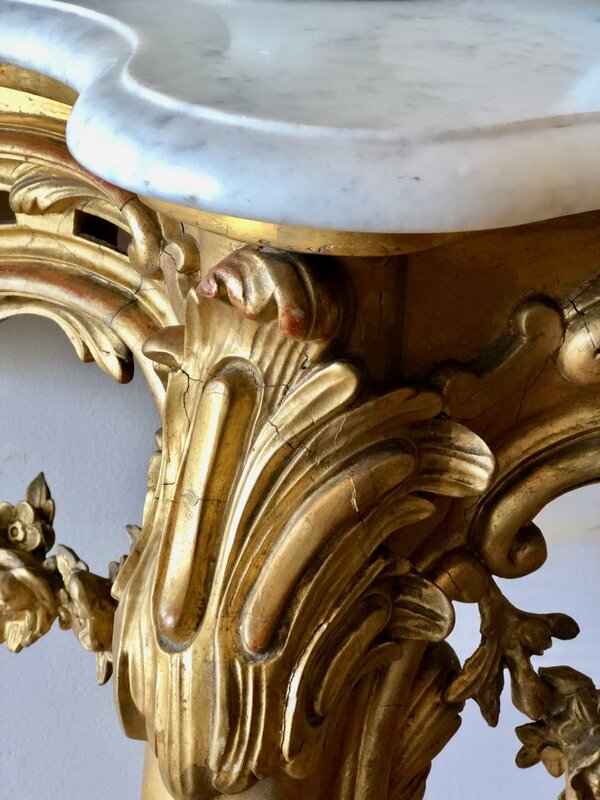 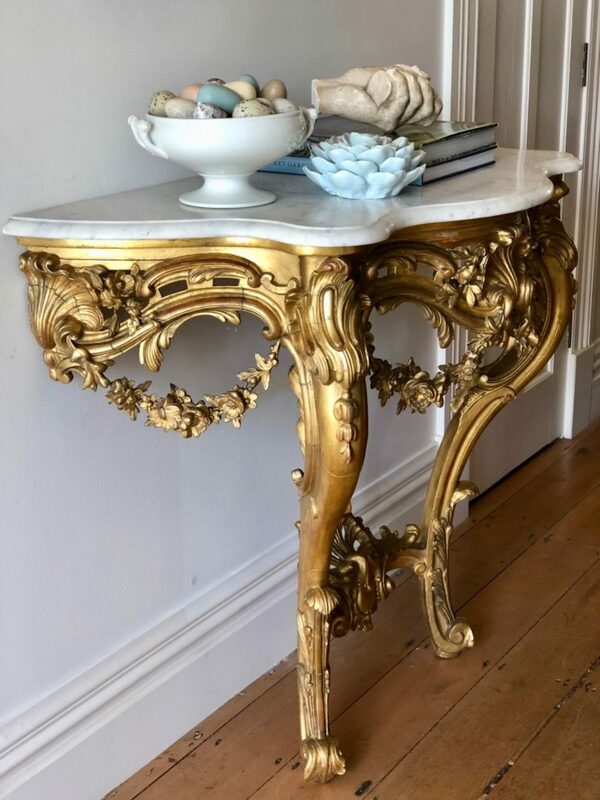 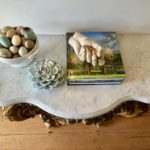 Stunning Louis XV style Napoleon III Gilt Console with shaped white Carrera marble top. 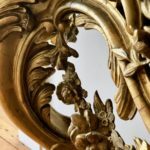 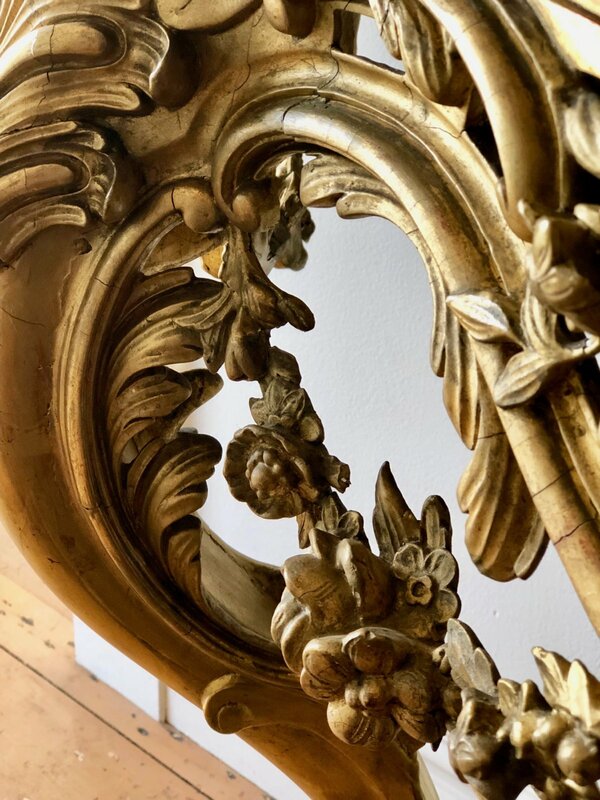 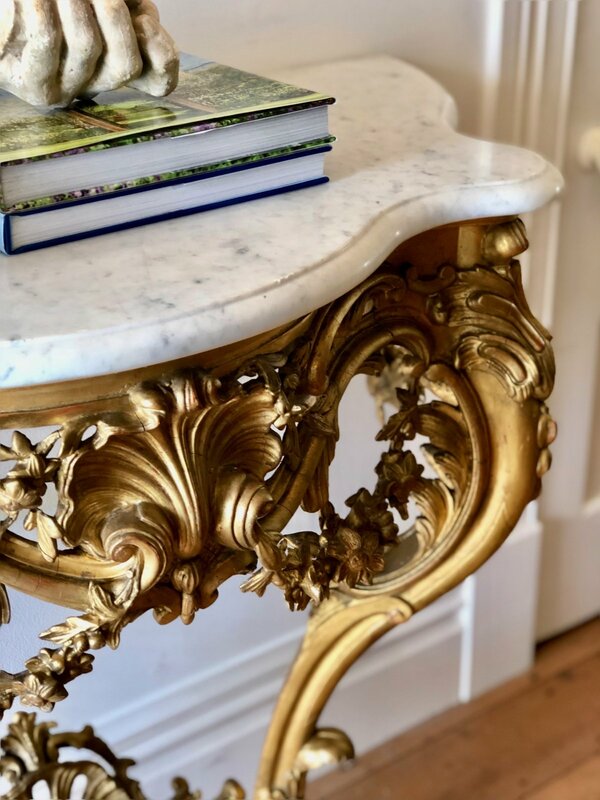 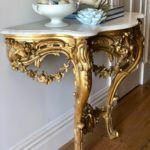 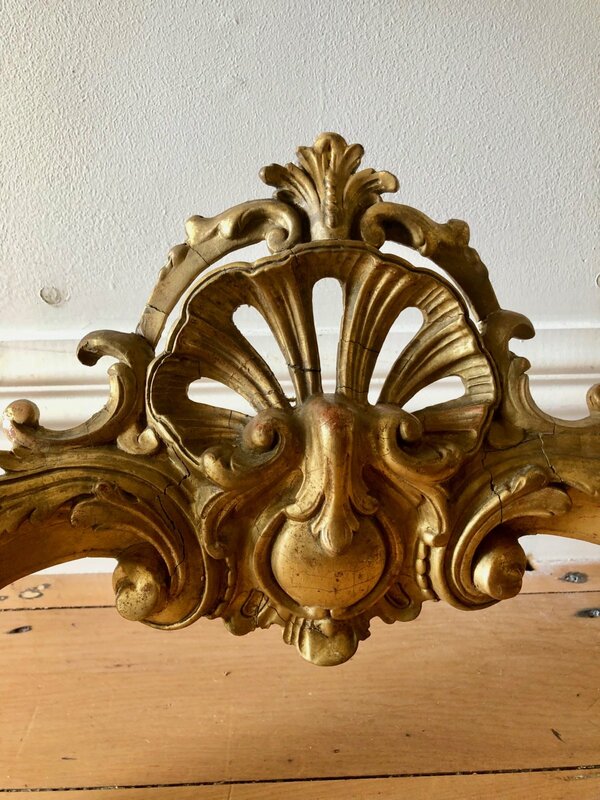 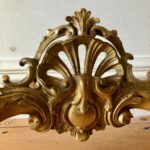 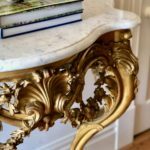 Hand carved and gilded, the curved facade rests on two arched legs and is decorated with Rocaille patterns, beautiful foliage and floral detailing. 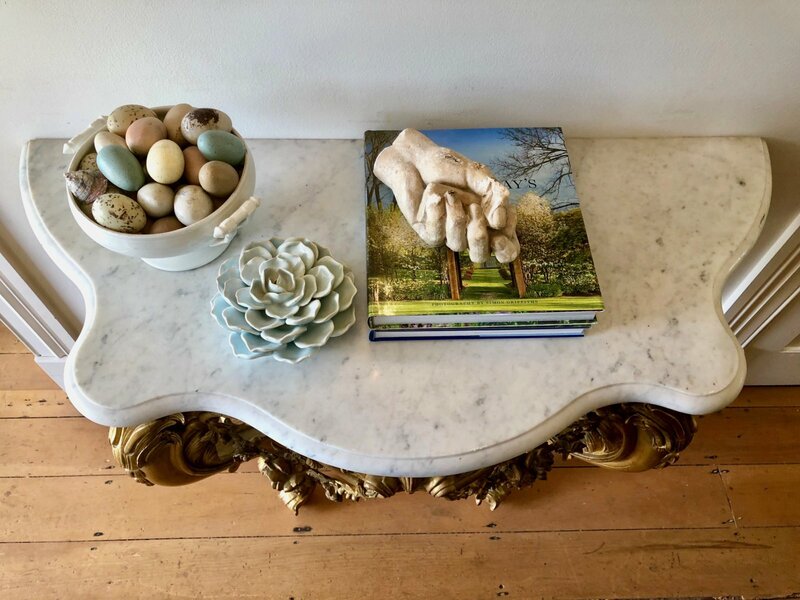 A real statement piece for an entrance way or a formal living room.